Luci Lenox is a casting director who has worked in the film industry for the last fifteen years between Barcelona, Spain and the UK. Her specialties are international productions shooting in Spain and European co-productions, but she also enjoys working with budding filmmakers and rising stars. She has worked on films that have collectively won over 100 awards. Recent notable projects include Victoria, which won numerous awards at the Berlinale in 2015. She has also cast commercials for many of the world's leading directors and agencies, including Joe Pytka, Noam Murro, Traktor, Johann Kramer, Scott Hicks, Vaughan Arnell, Benito Montorio, Dean Freeman and Todd Field amongst many others. She has worked on many highly successful projects including feature films Vicky, Cristina, Barcelona directed by Woody Allen, J.A. Bayona´s A Monster Calls, Mabrouk El Mechri's The Cold Light of Day and Perfume directed by Tom Tykwer, among others. Her recent television casting credits include Emerald City for NBC and upcoming series, Still Star Crossed for ABC and Shondaland. Clients include Constantin, Filmax, MediaPro, Disney, Summit, Intrepid, and Kanzaman. 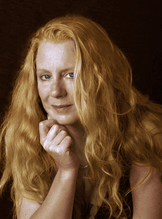 Luci Lenox is a member of the CSA, ICDN and the ADC.